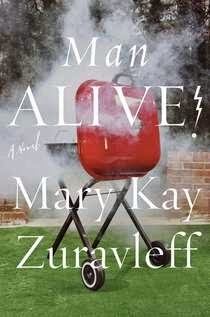 Mary Kay Zuravleff's most recent novel is Man Alive! 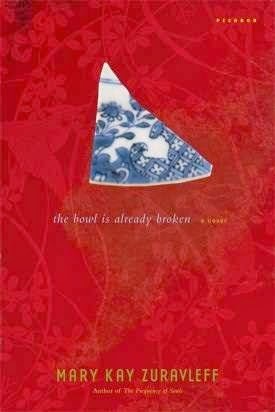 Her other books are The Bowl Is Already Broken and The Frequency of Souls. She serves on the board of the PEN/Faulkner Foundation, and she lives in Washington, D.C.
Q: How did you come up with the idea for Man Alive? A: I read an Oliver Sacks article in The New Yorker about a surgeon who was struck by lightning and began hearing piano compositions. He'd taken piano as a kid, but after the lightning he took piano lessons and composition lessons to transcribe what he heard. At first, I was attracted to this story because that's the metaphor I'd use to describe writing--that it took me years to be able to get on paper the music I heard in my head. But then, after I'd put the article aside, I had the complete thought: a pediatric psychopharmacologist gets hit by lightning and all he wants to do is barbecue. A: In several cases (lightning, getting a tattoo) I'd write a scene to capture the emotion I needed and then I'd research the details. So I wrote about Owen's rather ecstatic experience with the lightning, and then I read about how people who aren't killed by lightning are affected by it. That's actually one of the things that took my premise from a short story to a novel; I discovered that people who survive lightning strikes have the same symptoms that Owen, as a pediatric shrink, has been treating for 25 years: attention deficit issues, impulsivity, post-traumatic stress, and hypersensitivities of all sorts. I did do a lot of barbecue research, which was easy because barbecue fanatics are all over the internet. Q: Man Alive is told from the perspective of various members of Owen's family. Why did you decide to tell the story from multiple perspectives, and did you feel especially close to any of the characters? A: This is the other decision that resulted in my writing a novel rather than a story. I began writing from Will's point of view, and I realized that this was a novel that needed to be written from what I began calling "family point of view." You see each family member's experience from inside his/her head but you don't see the action from anyone outside the family. What I realized is how we each have a powerful and separate narrative going--no matter how intimate we are, we do not share most of what's going on in our head. As for close, I suppose I felt especially close to Toni and to Will, or maybe to their pain. Their suffering was tremendously difficult for me to write. A: I have had phenomenal reader response. Who hasn't experienced some form of family trauma? A reader will say, "Were you in our Manhattan apartment 30 years ago when our father had a stroke while he was biking? We said all those things to each other." Or they'll talk to me about ways in which kids they know (or sometimes kids they were) reacted, not even aware that they were behaving dangerously because of a problem within the family. Oh, and they also recite their favorite lines and how much they laughed: how they woke up their spouse reading in bed, or drew stares on the bus because they couldn't help laughing out loud! A: I've just barely begun a novel that links Washington, D.C., to Oklahoma City, where I grew up, and also includes Russian immigrants, more math, and material from an unpublished novel my great aunt wrote. They say you should write the novel you want to read, but I told my husband that I might be writing the novel that only I want to read! --Interview with Deborah Kalb. 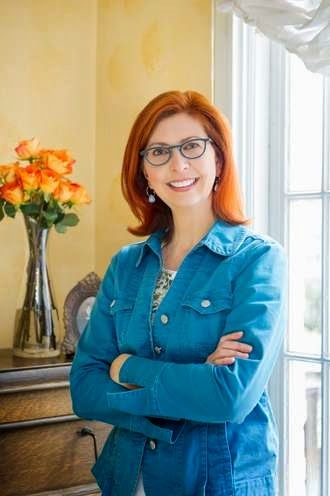 On March 29, 2014, Mary Kay Zuravleff will be participating in the Authors' Roundtable sponsored by Temple Sinai's Women of Reform Judaism in Washington, D.C. For more information, please click here. For an earlier Q&A with Mary Kay Zuravleff, please click here.